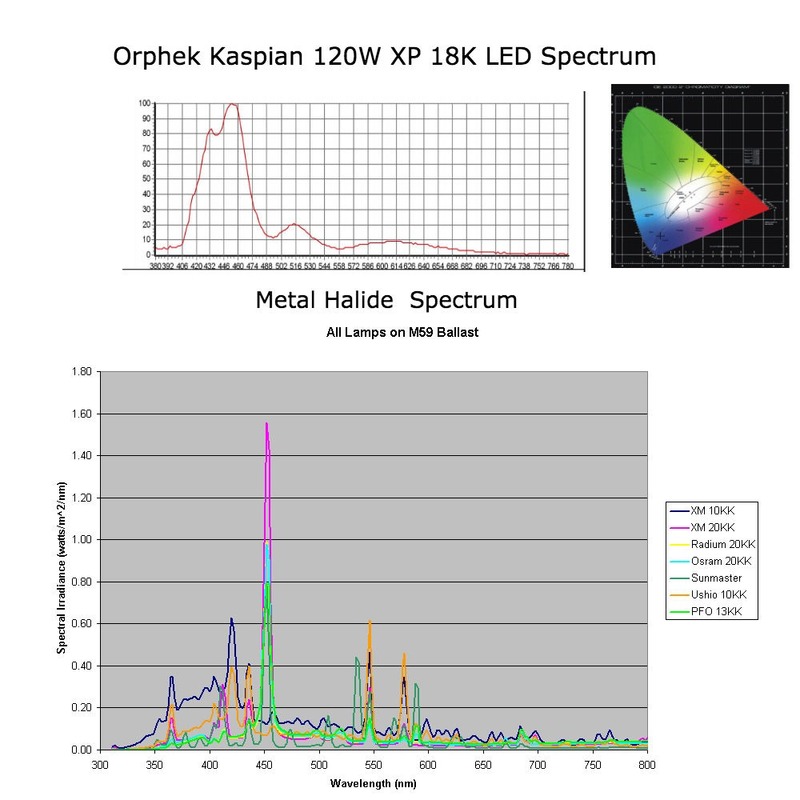 Orphek Kaspian 18K XP LED – The most perfect White LED. 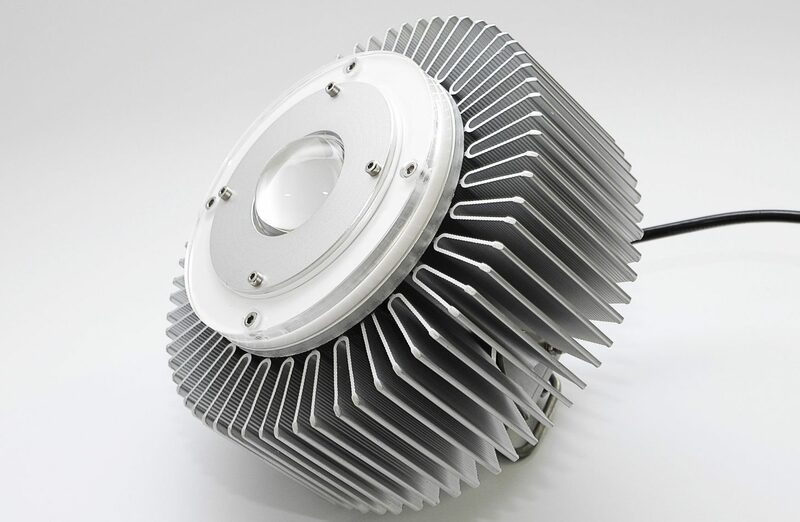 Orphek new 120Watt 18K XP White LED is the most advanced LED in the world, built with 120pc of 3 watt LED chip with 14 deferent types of LEDs to create the most perfect white LED, without using yellow phosphor, developing the perfect sun spectrum. 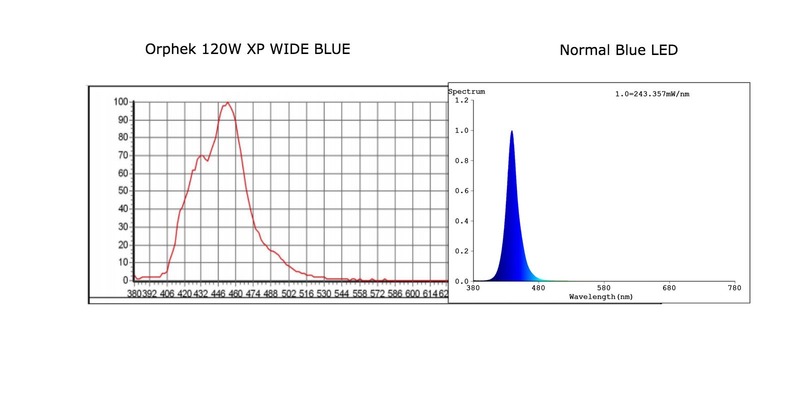 The spectrum of the XP 18 model is very similar to that of the Radium 400 watt, 20,000K metal halide But much wider in the Blue /Violet spectrum for better results ! 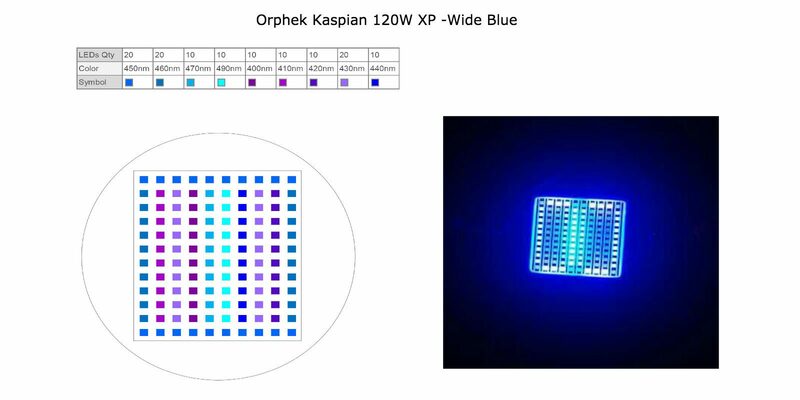 Orphek Kaspian 120W XP Wide Blue – The most perfect Wide Blue LED. With the ever increasing number of coral farmers, fraggers, and aquarists with deep aquariums, Orphek has produced the Kaspian series of LED pendants to satisfy all of these applications without the need for producing multiple models for each application. 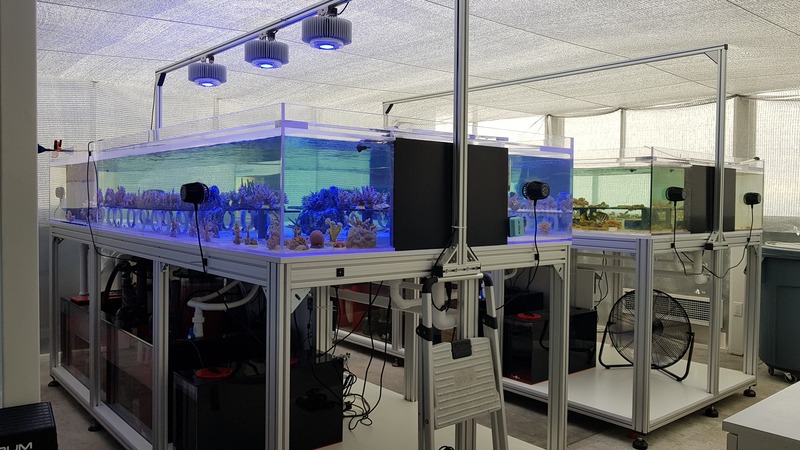 Orphek has accomplished this goal by designing four optical quality lenses to fulfill any application, whether they are shallow coral tanks and displays, or aquariums up to six feet in depth. The available lenses are 45, 60, 90, and 120 degrees and all are made from optical quality glass. 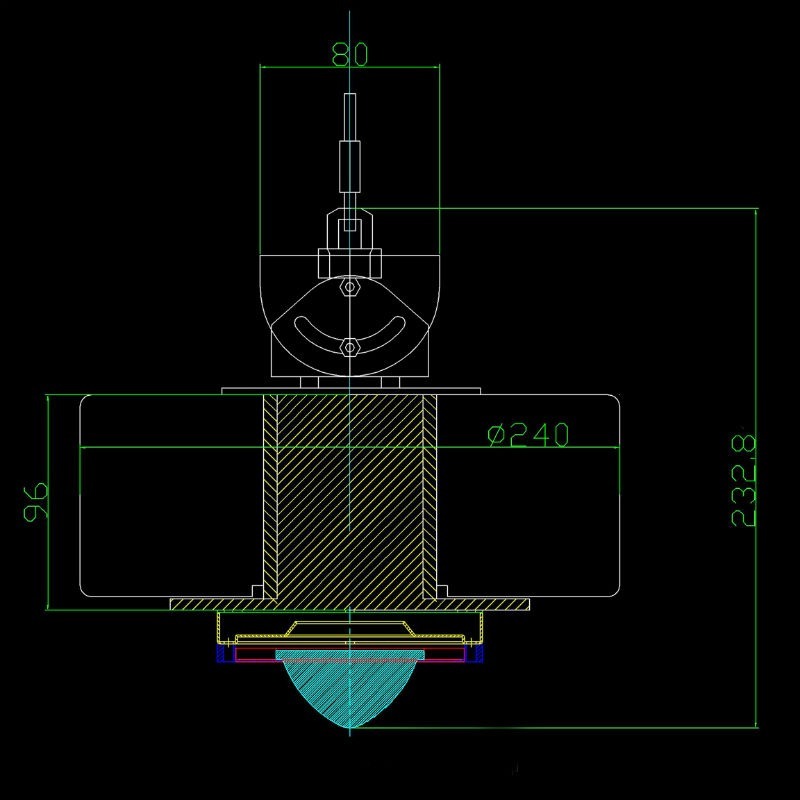 The 45 and 60 degree lenses are suited for deeper aquariums while the 120 degree is better suited for shallow coral displays or fragging systems. 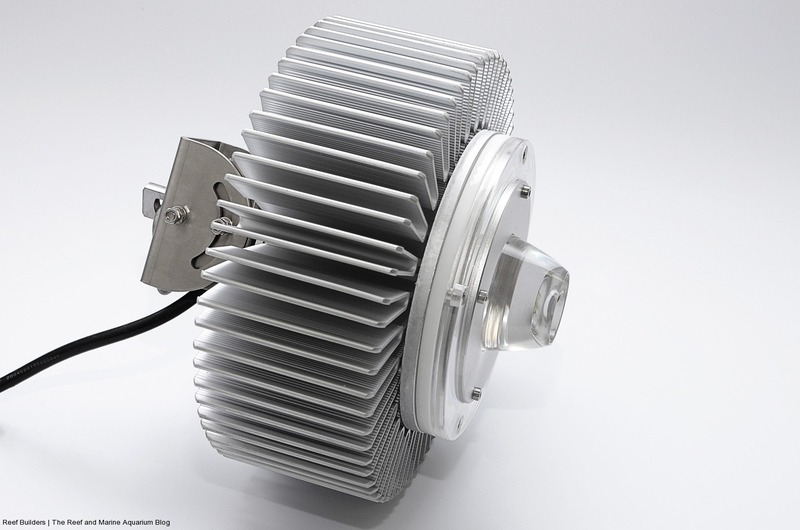 The large finned shaped aluminum heat sink is incorporated into the housing and provides a very efficient means of heat dispersion. 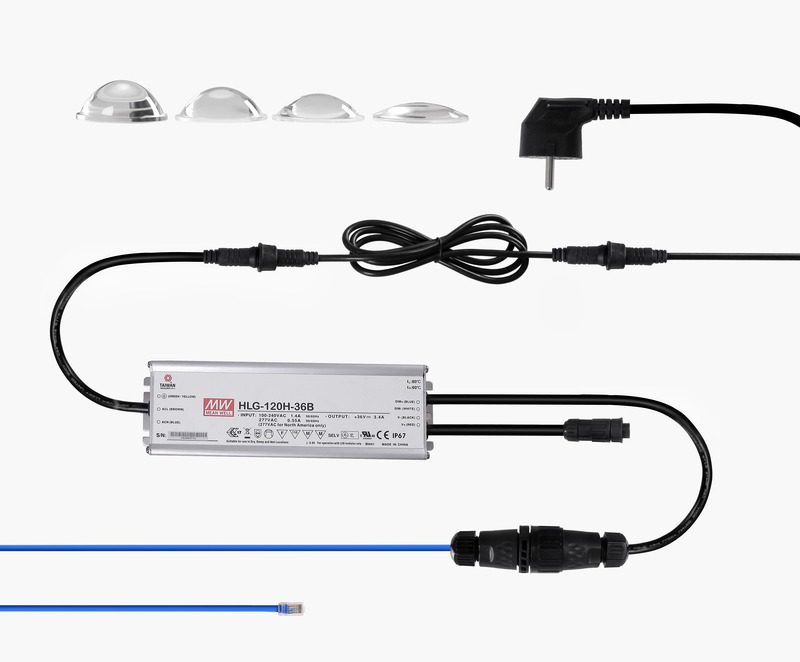 The Mean Well industrial grade LED driver used which increases the efficiency, longevity, and provides a high power factor rating which means no wasted energy. The driver also has a rating of IP67 which is virtually waterproof. All Mean Well drivers feature over current and voltage protection as well as providing a constant voltage and current source with no fluctuation. LED matrix :120pcs of 3watt LEDs chip operates at 120 watts for efficiency and longevity. Integrates with Neptune Apex controller. 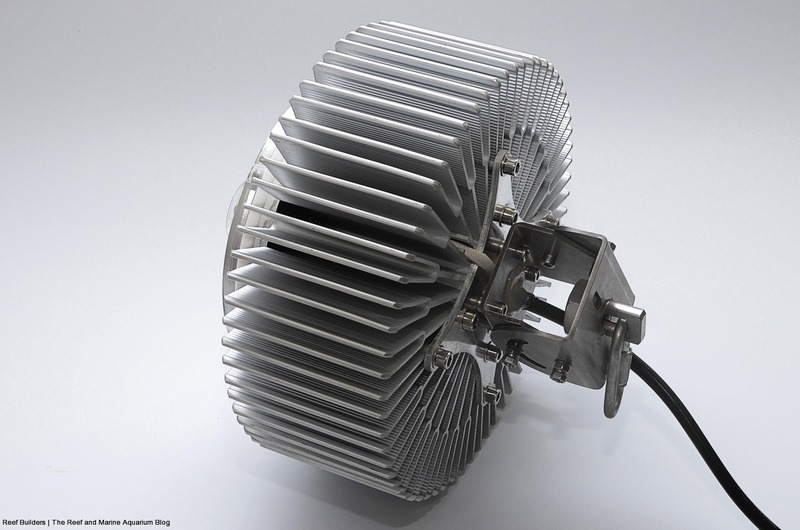 High efficiency Mean Well fan-less power supply. 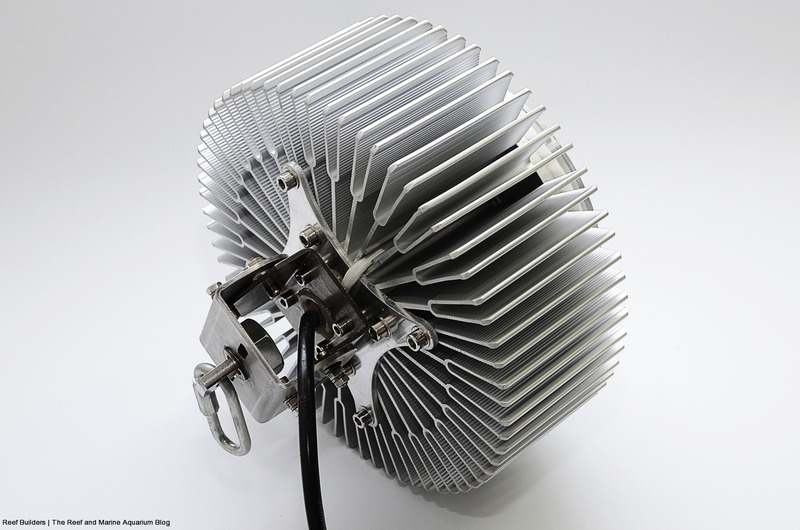 Large aluminum finned heat sink for superior heat dispersion. Highest PAR/PUR per watt than any other LED reef pendant on the market. 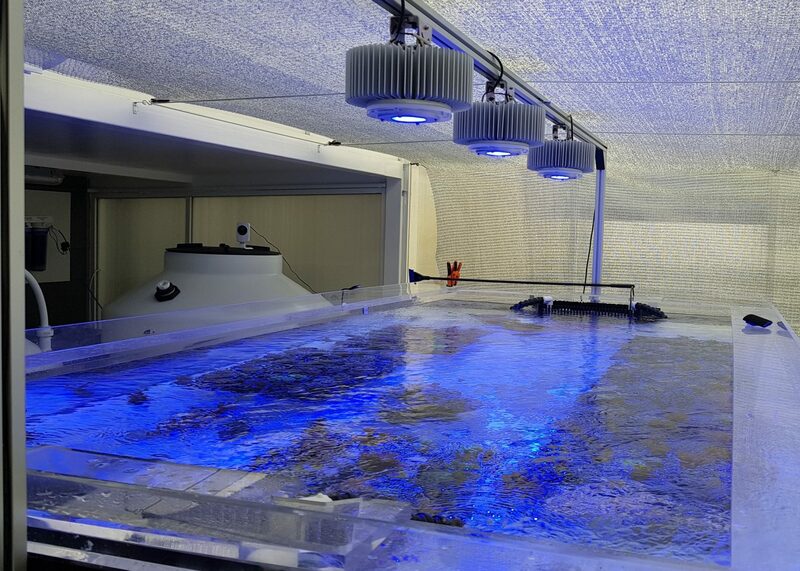 Ideal Spectrum for coral growth, color and health. 14 Different types of LEDs used. Lens options available to suit any application. 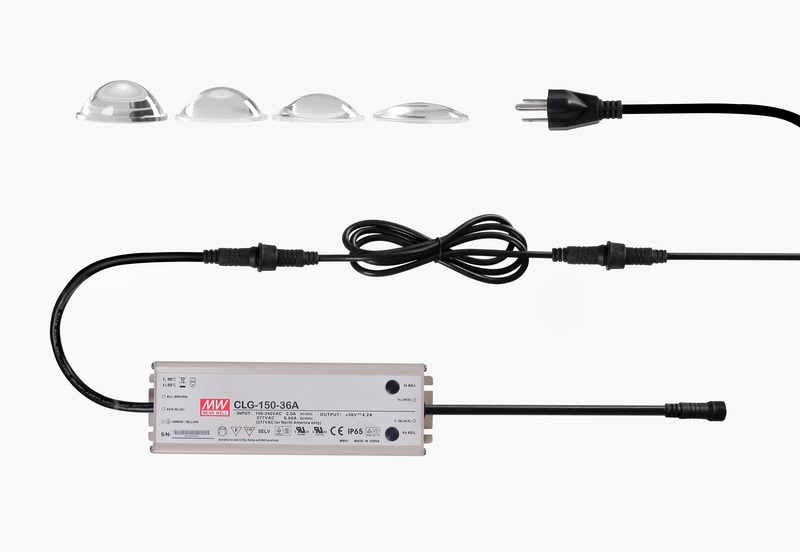 Power supply: Mean Well LED driver – CLG-150-36A. Dimming capability: Yes, with Apex, Reefkeeper, and other digital controllers capable of 10VDC or PWM operation. 45, 60, 90 and 120 degree lenses available. 120pcs of 3 watt LEDs which operate at 1 watt. Matrix chip containing 120pcs of 3 watt LEDs. 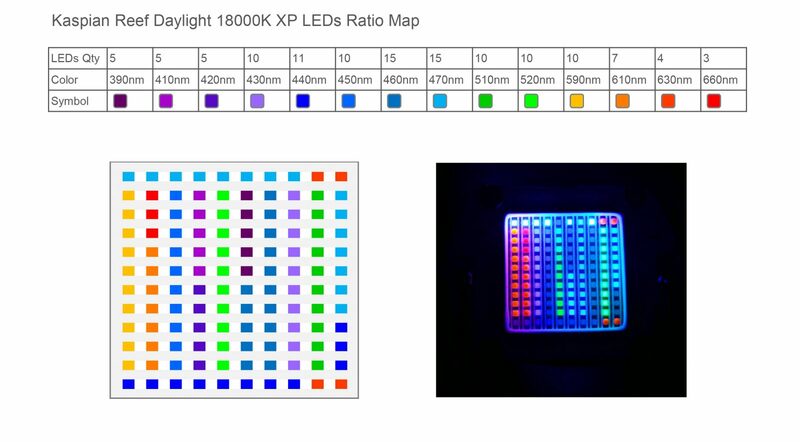 LED makeup will depend on Kelvin temperature used.